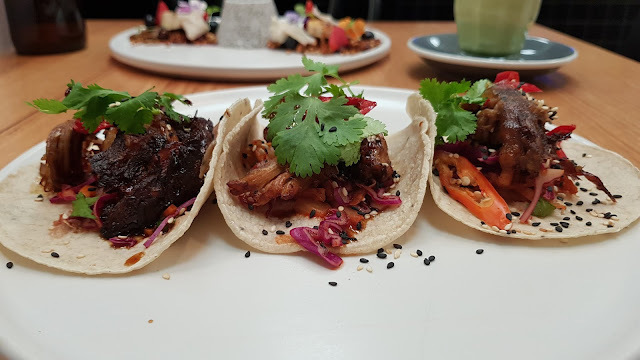 I was invited to Holla to try their new spring/summer menu. Upon entering the restaurant, I can see a very nice color from the leaves and the plants all over the restaurant, making it feel welcoming. Konomi Matcha Latte. 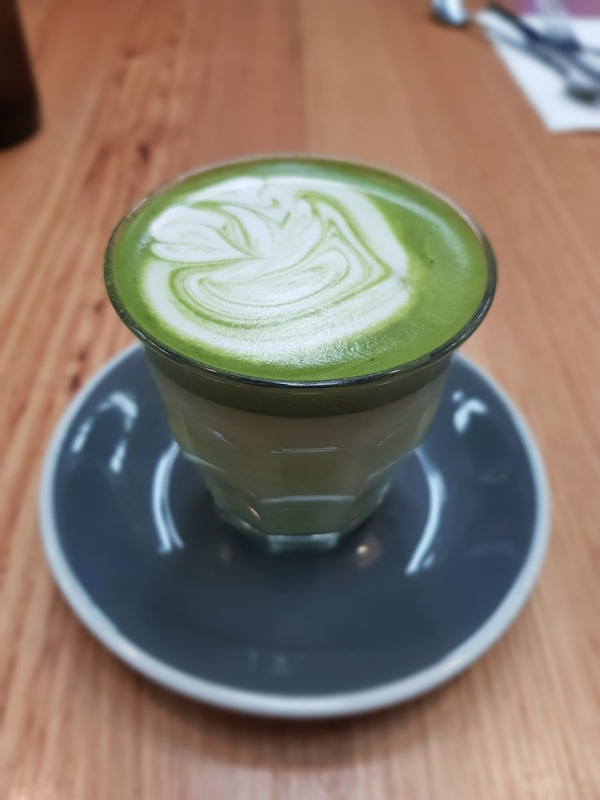 When it comes to matcha latte, I have quite a high standard and I was not disappointed. It was arguably one of the better matcha latte I tried in Melbourne. You can't get wrong with this. Seoul Food – Korean BBQ pork tacos w/ daikon & kimchi slaw & fresh chillies on corn tortillas (3 Tacos in a serve) ($18.5). Boy of boy, I wasn't expecting this. 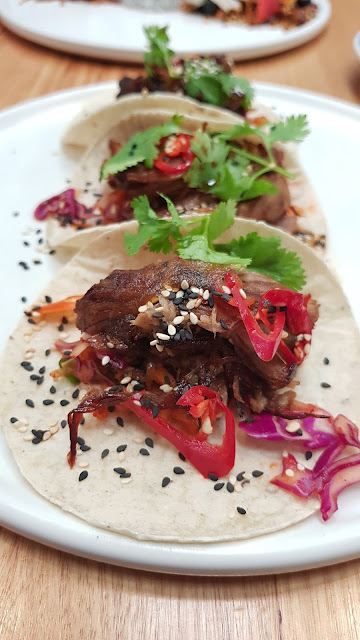 This is one of the best fusion taco I have ever tried. Fantastic bbq pork meat, amazing taste, and that subtle kimchi and chilli taste makes this a 10/10 dish for me. Fantastic dish. 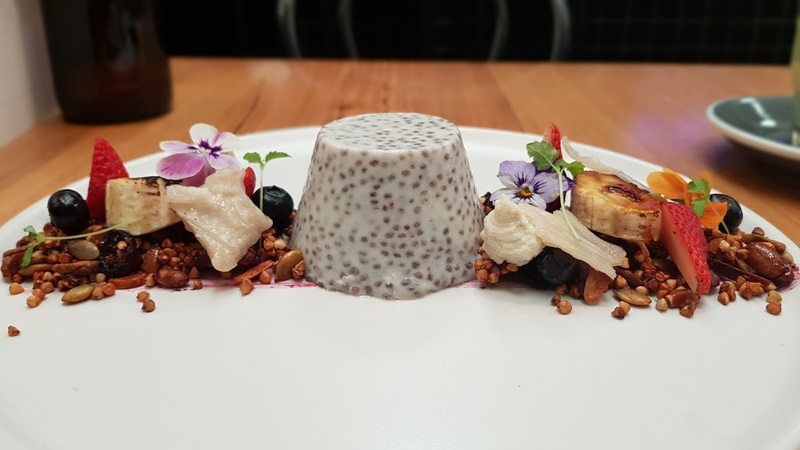 Vegan Pana cotta – Naturally sweet coconut & chia seed panna cotta w/ caramelised bananas, activated nut butter, fresh berries, dehydrated coconut yoghurt & buckwheat granola ($14.5). You can either get it right or you don't with panna cota. And I can say that Holla gets it right, very right. The combination of coconut and chia seed actually works. Plus that beautiful caramelised bananas is the cream on top, making this an overall great dish. Overall, I am really satisfied with Holla. 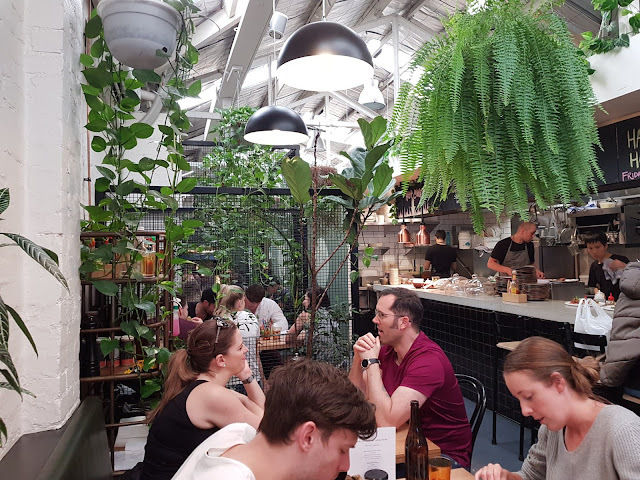 The food is amazing, and the place is nice. 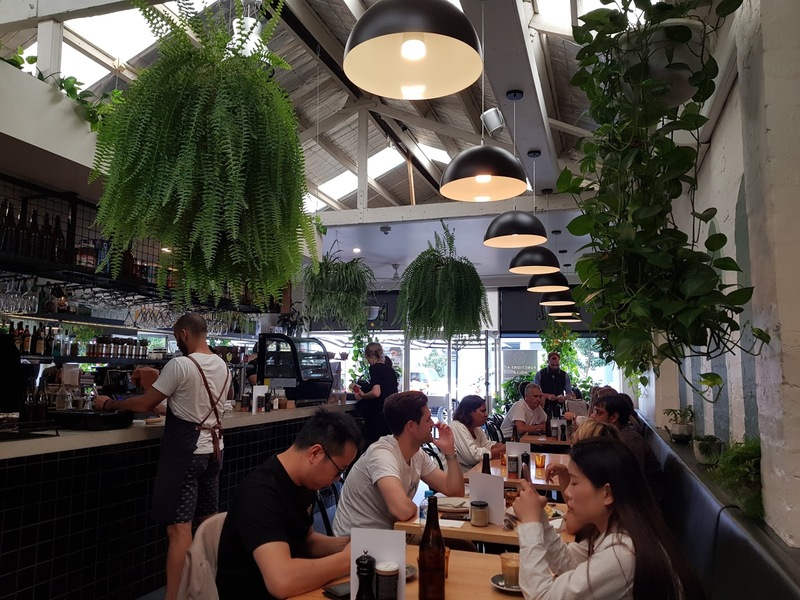 To top it, they also sell a number of different alcoholic drinks making it perfect place to have lunch with your friends and family too.